Steve Jobs had Apple halt iPhone production to make the display more prominent, halted iPad production to make the edges more scoop-able, and continuously, relentlessly, stopped Apple in mid-stride to cut what wasn't necessary and simplify what absolutely was. This singular insight is brought into sharp focus once again by biographer Walter Isaacson, writing for the Harvard Business Review on the subject of Steve Job's leadership. The initial design [of the iPhone] had the glass screen set into an aluminum case. One Monday morning Jobs went over to see Ive. “I didn’t sleep last night,” he said, “because I realized that I just don’t love it.” Ive, to his dismay, instantly saw that Jobs was right. “I remember feeling absolutely embarrassed that he had to make the observation,” he says. The problem was that the iPhone should have been all about the display, but in its current design the case competed with the display instead of getting out of the way. The whole device felt too masculine, task-driven, efficient. “Guys, you’ve killed yourselves over this design for the last nine months, but we’re going to change it,” Jobs told Ive’s team. “We’re all going to have to work nights and weekends, and if you want, we can hand out some guns so you can kill us now.” Instead of balking, the team agreed. 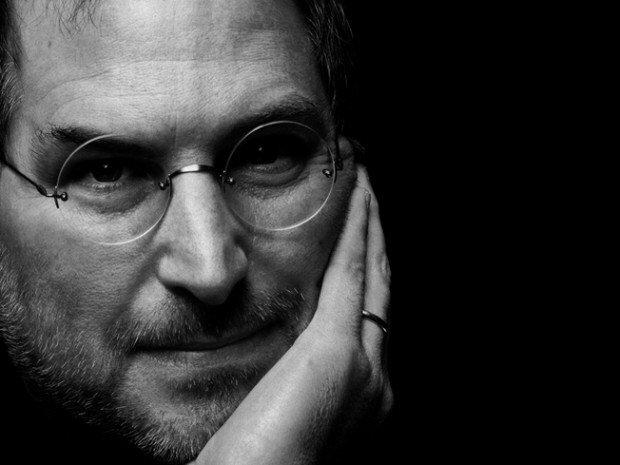 “It was one of my proudest moments at Apple,” Jobs recalled. A similar thing happened as Jobs and Ive were finishing the iPad. At one point Jobs looked at the model and felt slightly dissatisfied. It didn’t seem casual and friendly enough to scoop up and whisk away. They needed to signal that you could grab it with one hand, on impulse. They decided that the bottom edge should be slightly rounded, so that a user would feel comfortable just snatching it up rather than lifting it carefully. That meant engineering had to design the necessary connection ports and buttons in a thin, simple lip that sloped away gently underneath. Jobs delayed the product until the change could be made. This exemplifies why Jobs was rightly considered the best product guy of his generation, arguably in the history of computing and consumer electronics. No other company could produce what Apple produced over the last decade, and none really seem intent on trying. It's not just the software -- it's everything from the materials used to produce casings to the buttons left off of them. Apple made the iPod and not Sony, Apple made the iPhone and not Palm, Apple made the MacBook Air and not HP, Apple made the iPad and not Microsoft. Steve Jobs gave Apple a remarkable insight, and there's every indication they're running with it. Hopefully they have several canny team members asking the impertinent questions and wielding the knives of simplicity. Hopefully as well the rest of the industry is catching on -- they need to compete based on innovation and accessibility, not just price and ancillary complexity. Apple needs it, and consumers deserve it. They can start by reading the article below, it's chock full of the insanely great.